This year's edition of On Course Foundation was a big success. We managed to raise over 10,000 Euros again this year. Many thanks for all those who donated and a special thanks to all who gave up their time to put this event together. We will see around August, whether we have qualified to play at Turnberry on 17/18 October 2016. Again well done to all! 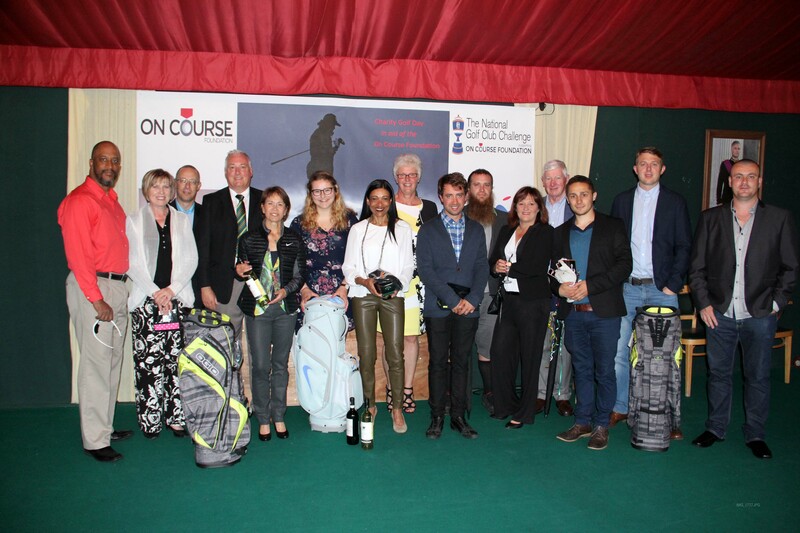 The winners of the 2016 edition of On Course Foundation. Congratulations to Ali Brown, Alex MacDonald, Christiane Hermant, John Sterling, and Peter Nolan for their fine play. As many of you will know we have an annual Charity Event held at the Royal Golf Club du Hainaut (RGCH) where we have a competition followed by a Charity Auction followed by music to dance the night away. The event this year takes place on Saturday 4 th June. The event this year is in aid of the On-Course Foundation (OCF), a s UK based Charity in aid of our wounded servicepersons and their families. The OCF rehabilitates wounded serviceperson by both actively getting them to play the game, but also assisting them in getting work within the golfing industry. We rely on your kind donations for the Charity Auction event in the evening and we are already receiving items both related to golf and not, to assist us in raising monies for this worthy Charity. Should you have anything that you would like to donate, then please contact myself or Suzanne (my wife) and we will make arrangements to collect the item(s). We also have a “Just Giving Site ” for this event so if you would like to donate or family members would like to assist us then please select the link to help us in our quest. Finally should you wish to play in the event, then again please let me know and I will add you to the growing list. I will attempt to pair you up with your preferred partners should you so wish and also accommodate any specific timings that you may have. Remember, there is always a possibility that you may qualify to play at Turnberry, Scotland, the proposed Open Course for 2021. Do you really want to miss out on that possibility? All in all, I hope that you wish to participate in some way to a great day of golf and evening entertainment and support our quest to try somehow to surpass our 10,000 Euros total from last year.